Each year when the Southern Baptist Convention meets, we are faced with many big decisions. Those watching from a distance as well as those who might want to stir the waters of controversy will discover the Southern Baptist Convention will always be committed to two major things. First and above all else, Southern Baptists will always lift up and acknowledge the absolute authority of the Holy Scripture. Yes, the Bible is the inerrant, trustworthy, faithful, and sufficient Word of God. The Bible not only contains the Word of God, it is the Word of God. Second only to the Scripture and the Lordship of Jesus Christ, Southern Baptists will recommit our absolute belief in taking the gospel of Jesus Christ to every person in every corner of this universe. Because we believe in the Holy Scripture, we believe there is only one Savior, Jesus Christ. He is the only way to God. Therefore, this year again, we will recommit ourselves to advancing this gospel of Jesus Christ to America and to the entire world. The Southern Baptist Convention will again declare our commitment to our cooperative work At our church, the Cross Church Family believes in our cooperative work with other Southern Baptists. 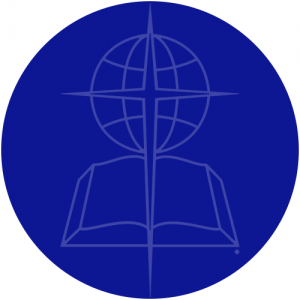 That is why over the course of many years, we have increased our financial support again and again through the Cooperative Program of the Southern Baptist Convention. In our present fiscal year of 2017-2018, our Cross Church Family will give at least $1.3 million through our Cooperative Program. Our commitment is not because of personalities and leadership of others, it is because of our commitment to reaching the world for Christ along with just under 52,000 other Southern Baptist churches and church-type congregations. It is our prayer and commitment to continue this advance forward. There is so much more we can do together. I also believe that through decisions and resolutions approved by our convention, this year we will restate our firm convictions and beliefs more clearly than ever before. This is why I have added my full support to the resolution, On Affirming the Dignity of Women and the Holiness of Ministers. Please take a moment to read my blog from last week, 3 Important Questions Southern Baptists Need to Ask in All Decision Making in Dallas and Beyond. I pray that we will think of these things in the coming year in every decision we make in regard to leadership, practice, and commitment. Southern Baptists are in a generational moment. We call out to God for help! We must pray and pray some more for God’s leadership, power, and protection. This is not the time for further regret or retreat. Why? Because now is the time to lead. To request an interview with Dr. Ronnie Floyd, contact Gayla Oldham at (479) 751-4523 or email gaylao@crosschurch.com. Decision making for Southern Baptists in Dallas next week may be challenging. Southern Baptists, we would do well to consider these three important questions any time we make decisions together. 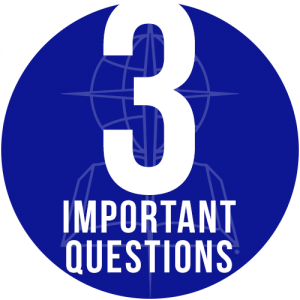 Question #1: What is best for the churches of the Southern Baptist Convention? We are a convention of local churches. Last week, we learned through the release of our 2017 Annual Church Profile report that we have 47,544 local churches and 4,376 church-type missions. Our decision making must be driven by the question: What is best for the churches of the Southern Baptist Convention? Structures and systems are important, but they should never drive our decision making. When the decisions made are best for the churches, they will be best for the Southern Baptist Convention. Question #2: What will assist the churches of the Southern Baptist Convention to present the Gospel of Jesus Christ to every person in the world and make disciples of all the nations? This mission statement was adopted in the 2010 Southern Baptist Convention in Orlando, Florida. Whatever decision will equip, inspire, and mobilize our churches in the greatest way to present the gospel of Jesus Christ to every person in the world and to make disciples of all the nations is a good decision for our churches. Southern Baptist national entities, state conventions, and local associations exist to assist the churches to accomplish their God-assigned tasks. Question #3: What will best advance the unified funding of our Southern Baptist worldwide mission enterprise, the Cooperative Program? Each cooperating Southern Baptist church determines the amount of money they give each year through our worldwide mission enterprise, the Cooperative Program. This money received from the churches is allocated toward the work our churches do together statewide, across America, and the entire world. Since gifts from the churches through the Cooperative Program determine what our convention can do to advance the gospel together, the decisions we make together are very important. Our churches give through our worldwide mission enterprise because we believe we can do more together than each of our churches can do individually. Each messenger from our churches will make numerous decisions in Dallas, Texas, next week. What will motivate and determine our decisions? I humbly suggest these three questions become our grid for decision making in Dallas and beyond in our future together. May our decisions seem good to the Holy Spirit and to us. To request an interview with Dr. Ronnie Floyd contact Gayla Oldham at (479) 751-4523 or email gaylao@crosschurch.com.